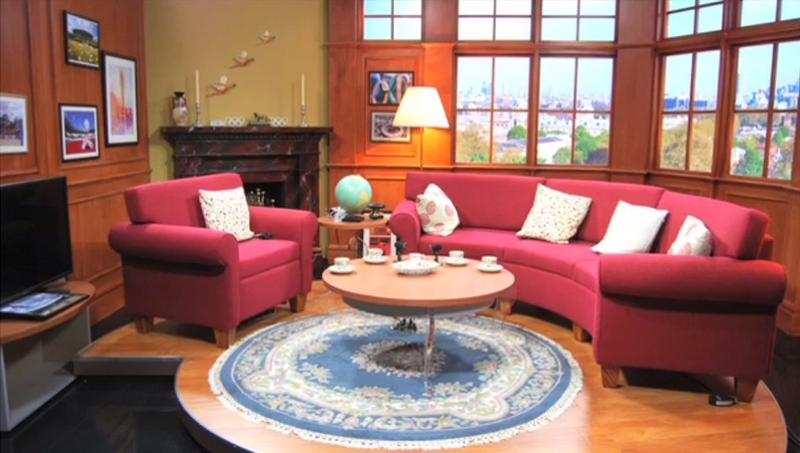 Seven sets in two countries. 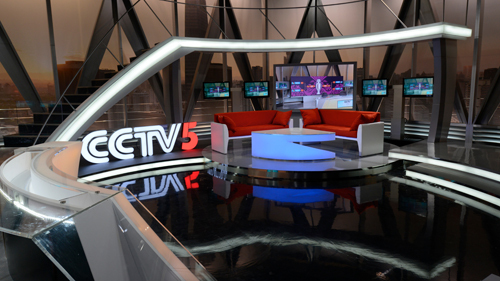 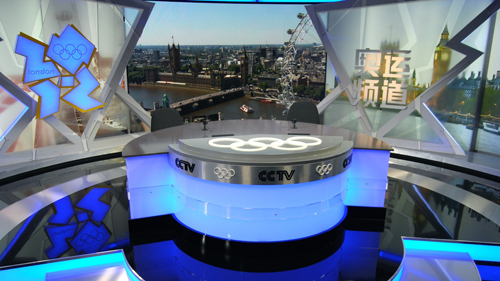 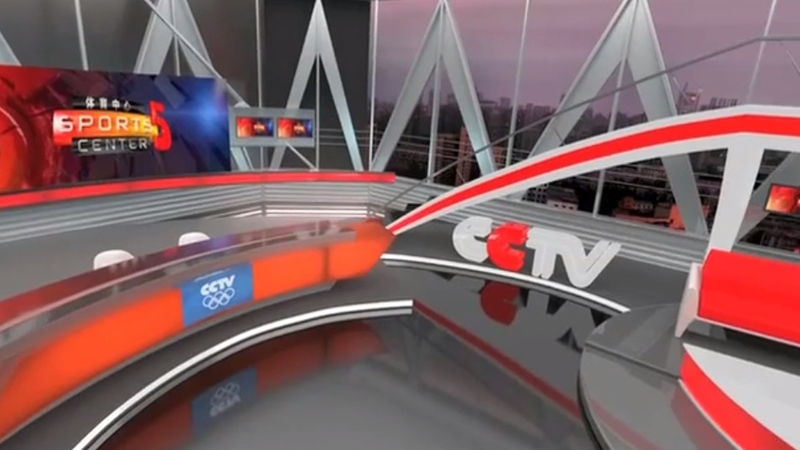 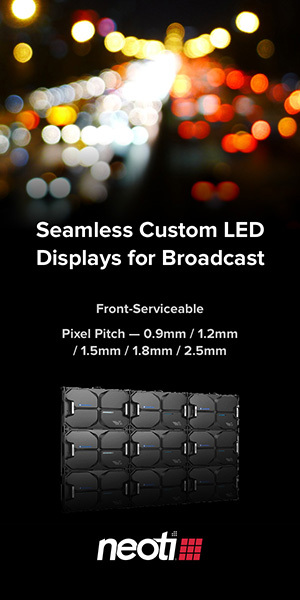 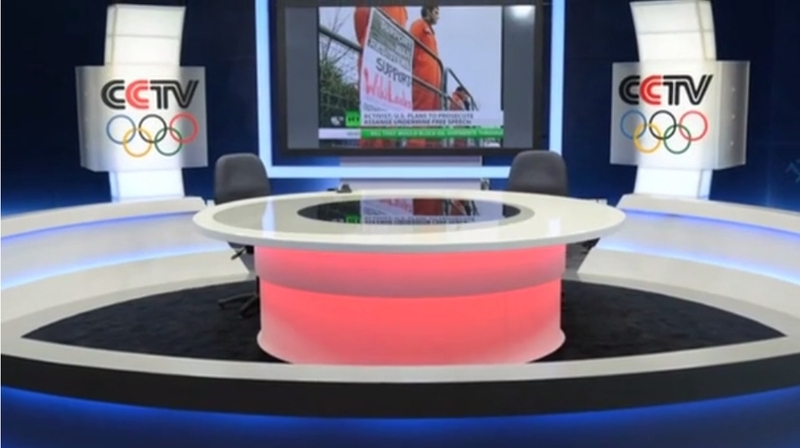 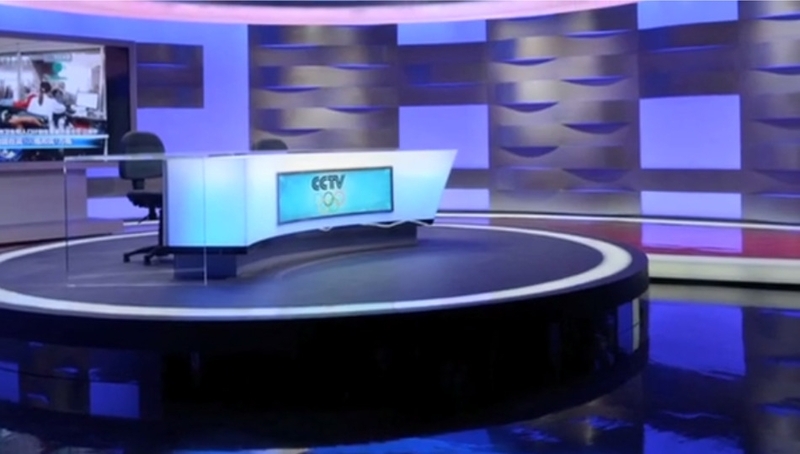 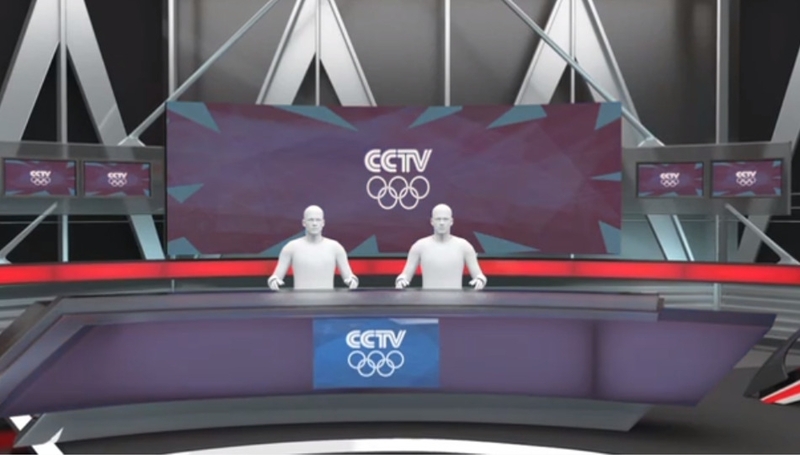 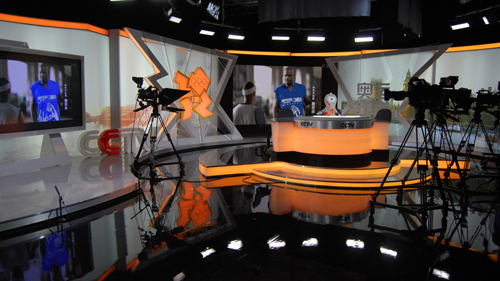 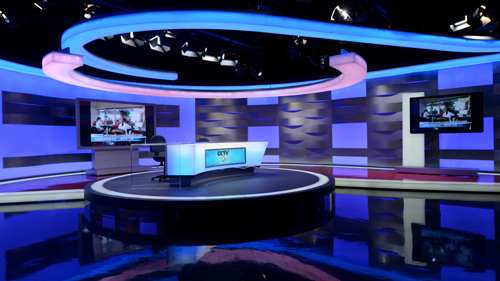 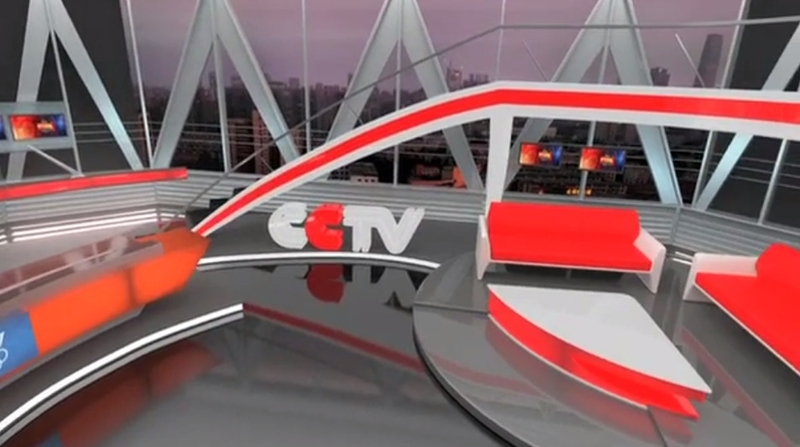 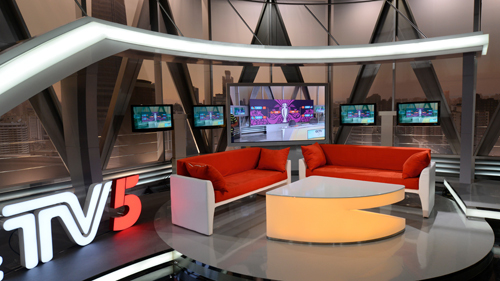 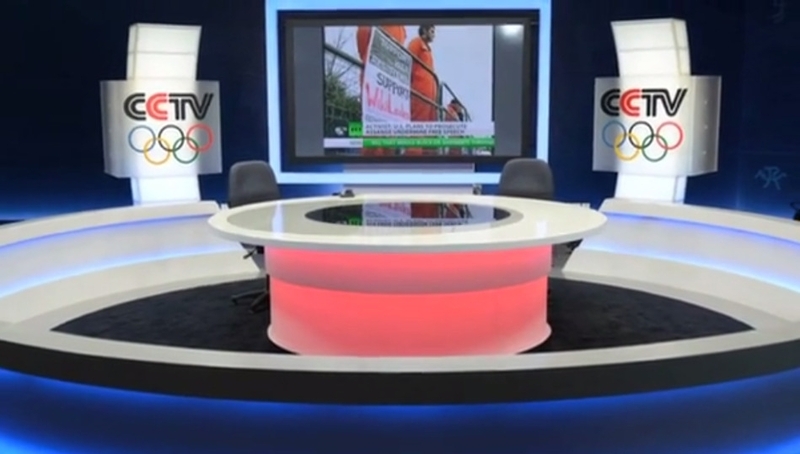 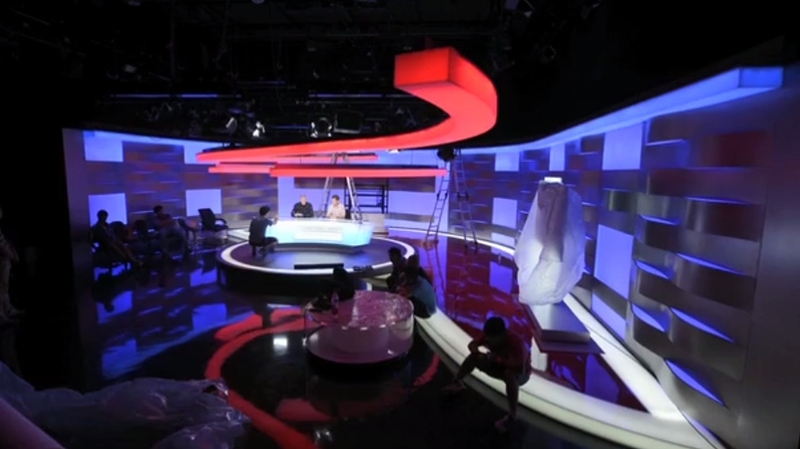 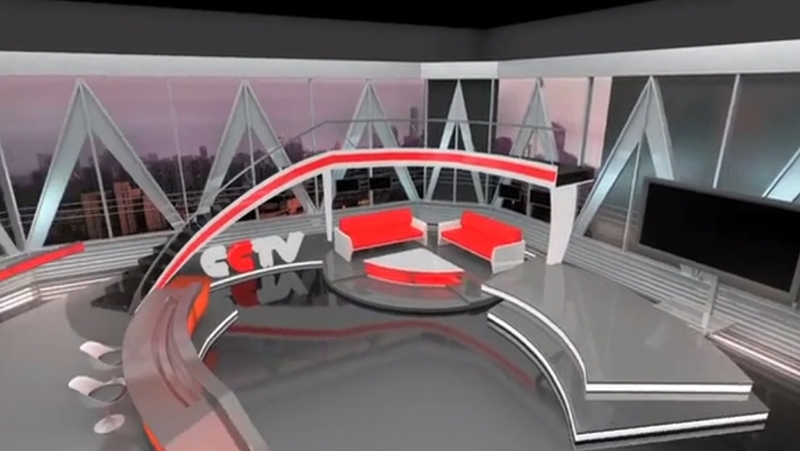 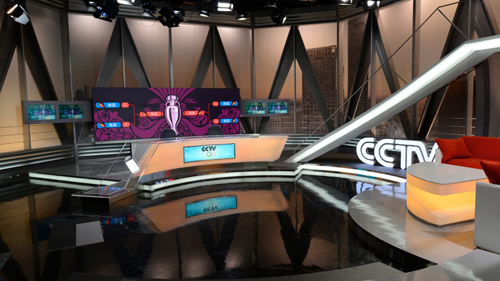 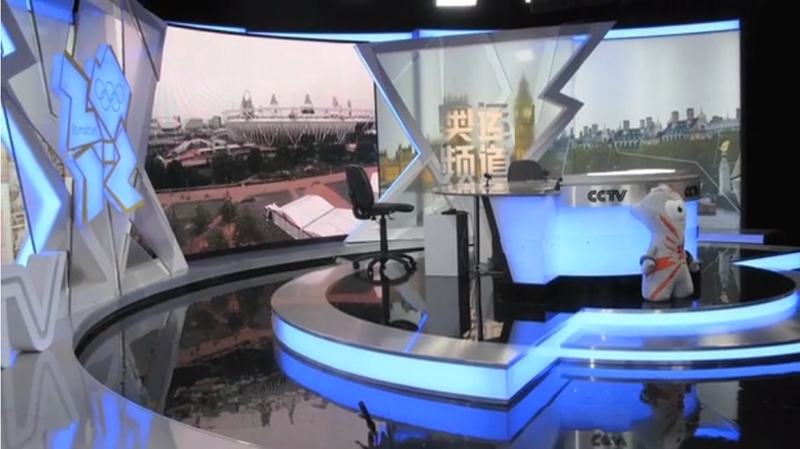 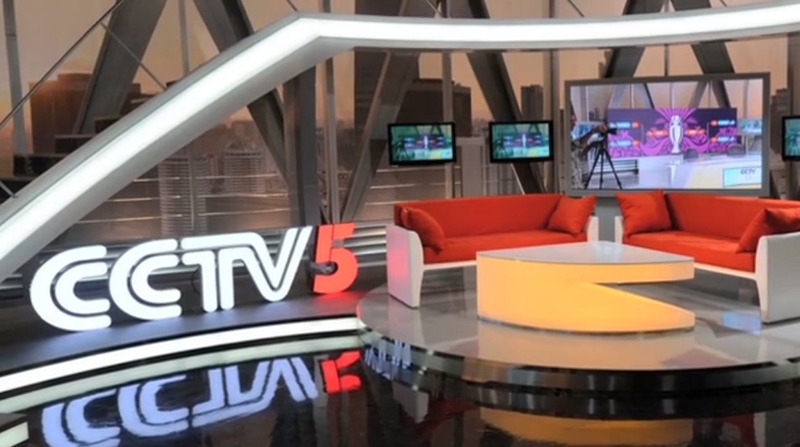 Debuted for the 2012 London Olympics, ZSPACE and Mark Dyson of Pitch Design delivered sets for CCTV5’s coverage. 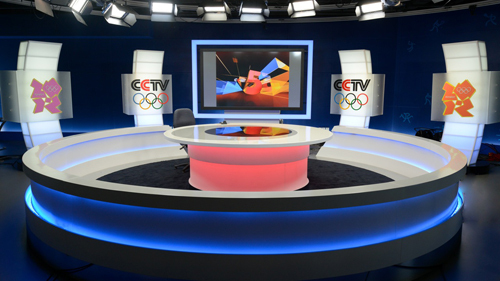 The seven sets include, in Beijing: a multi-functioning sports hub that will continue to be used as a set after the Olympics, its design inspired by the dramatic architecture of the CCTV building; a slick, modern and versatile set based on the colours of the London Olympics; and a three/way set that house three programs using a circular pod to shoot in any direction. 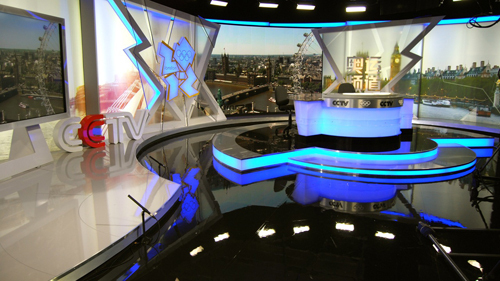 In London: a modern studio using the city of London as its hero; a casual interview set designed to create the cosy atmosphere of a London clubhouse; a studio designed especially for the Internet, and a small, chic set that overlooks the Olympic Stadium.